Birth Registration Transcriptions for Kate Maxwell, William Maxwell and Victor Onslow Maxwell. Kate Maxwell born 1888 at Roebourne, Western Australia, Reg. No. 467, Registration Year 1888. William Maxwell born 1891 at Fremantle, Western Australia, Reg. No. 151, registration year 1891. Victor Onslow Maxwell born 1897 at Fremantle, Western Australia, Reg. No. 1031, Registration year 1897. Private William Maxwell, No. 1246, enlisted in the 2nd Australian Stationary Hospital, 14 September 1914 and served until discharged on 14 July 1919. By the end of the war he had reached the rank of Sargeant. 38 Attfield Street, Fremantle, Western Australia, Australia. Private William Maxwell, No. 1246, 2nd Australian Stationary Hospital, embarked aboard HMAT Kyarra, 14th December 1914 at Fremantle Western Australia, for Egypt and then Gallipoli. Private William Maxwell 1246, enlisted in 2nd Australian Stationary Hospital 10th September 1914 and embarked aboard A55 HMAT Kyarra on 14 December 1914 for Egypt. Private William Maxwell, 2nd Australian Stationary Hospital, embarked 14 December 1914 aboard HMAT Kyarra at Fremantle Western Australia,for Egypt. In recognition of his service during World War 1, Sgt William Maxwell, official No. 1246 was awarded the 1914/15 Star No. 2995 for his service at Gallipoli, British War Medal No. 1039 and Victory Medal No. 1037, Returned from Active Service Badge for his service at Gallipoli and France. [S21] W.A. Registrar of Births, Deaths & Marriages, Department of the Atorney General, 151/1891 (Reliability: 3), 1891. See attached birth registration transcription for William Maxwell. [S34] National Archives of Australia, 1 (Reliability: 3), 10 Sep 1914. See attached World War service record for Sgt William Maxwell, Service no. 1246. [S307] World War 1 Nominal Roll, 2 (Reliability: 3), 14 Dec 1914. 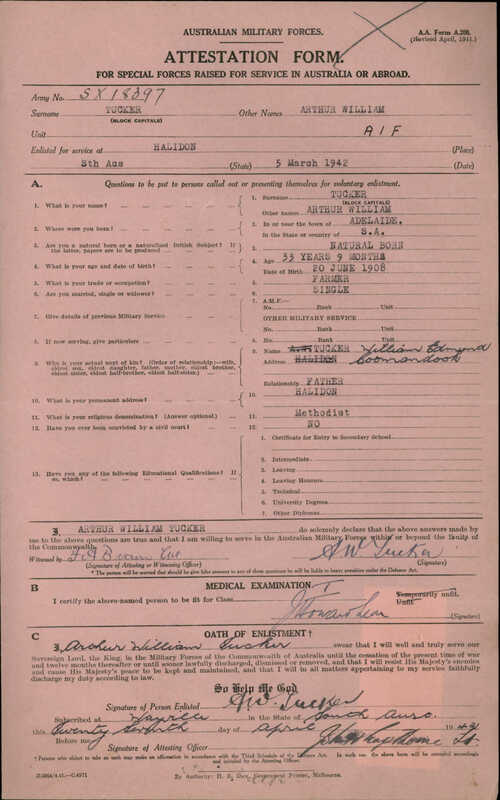 See attached World War 1 Nominal Roll, William Maxwell, Service No. 1246. [S34] National Archives of Australia (Reliability: 3), 14 Sep 1914. See attached World War 1 military service record for William Maxwell Service Number 1246. [S202] Australian War Memorial (Reliability: 3), 14 Dec 1914. See attached First World War Embarkation Roll and Nominal roll for Private William Maxwell Service No. 1246. [S202] Australian War Memorial, 2 (Reliability: 3), 14 Dec 1914. [S34] National Archives of Australia, 37 (Reliability: 3), 19 Sep 1919. See attached World War 1 Military Service record for Sgt William Maxwell 1246, page 37. [S21] W.A. Registrar of Births, Deaths & Marriages, Department of the Atorney General (Reliability: 3), 1887. See attached transcription of the marriage of Frances Annie Duffield and William Dempster Maxwell. [S21] W.A. Registrar of Births, Deaths & Marriages, Department of the Atorney General, 183/1913 (Reliability: 3), 1913.